He was 66 when the accident happened. A successful trial attorney, Jack was in good overall health and he loved spending most of his non-working time with his family, especially his 10-year-old grandson, Alex. Jack had always been a social drinker but never really had any problems except for a few times in college when he drank too much and was late for a class the next day. Then one June day, on a crowded highway, the car in front of Jack braked too fast and the car behind him not fast enough. Everyone survived the crash, but Jack found himself with a significant back injury that left him in constant pain and unable to stand or sit for long periods of time. He was placed on opiates for long term pain management and benzodiazepines to aid with sleeping which had become difficult. Jack believed it was impossible for him to continue in his career and, though he loved his work, he left his practice and began living out retirement. Unfortunately, though many look forward to the idea of being free from the fetters of work, Jack found himself becoming depressed and disconnected. He continued to drink alcohol while his physicians incrementally increased his medications as they became less effective. Over time, it all got worse. Jack’s physical pain and depression increased; his dependence on opiates and benzodiazepines increased; and he found his drinking increasing to problematic levels even though he never had problems before. Unfortunately, what decreased what Jack’s ability to fully engage life and truly connect to those who he loved and valued more than anything. Using more drugs, drinking more, and going deeper into depression, Jack slipped into despair and hopelessness and he believed the sole cause of it all was the accident and his injuries. But there was far more to it than that. At 68 years old, Jack’s family held an intervention. They shared their love for Jack and their concern that he had become addicted to pills and alcohol. Jack protested vehemently at the very idea, stating there was no way he could live without drugs for pain and sleep and drinking had never been a problem before so they should just leave him alone. Then Alex, now 12 years old, told Jack that he missed him because even when they were together, Jack was never really there. And at this, Jack agreed to go to rehab. Jack entered a facility specializing in the treatment of older adults with addiction and other comorbid conditions and he told everyone there that there was no way he could ever live with the pain or get to sleep without his pills. Further, he did not believe his drinking was in any way connected to his problems. This scenario is far more common than most people realize. When people think of Substance Use Disorders (SUD) and addiction, they generally picture younger people. In reality, there are somewhere between three to six million older adults who meet criteria for a SUD (Cooper, 2012). Millions more suffer from anxiety, depression, and other mental health disorders (Draper, 2014), and nearly 100 million suffer from chronic pain (Morone, et al., 2016). Further, there is a negative, painful synergy that is present when these conditions co-exist and they tend to contribute to a downward spiral, each making the other worse. In Jack’s case, as with many other older adults, it would be nearly impossible to address addiction, pain, depression, anxiety, or insomnia without addressing all of these issues together. Additionally, Jack was resistant to the idea of treatment which is common in these scenarios. Because of this multitude of factors, it is imperative that treating professionals utilize a multidisciplinary approach to treating older adults with SUD and comorbidities. Simply placing Jack in a typical treatment program filled mostly with healthy young people would not have been enough to help him truly recover. Older adults have different treatment needs compared to young adults. The following 5 areas are of particular importance. Medical Needs: Physiological changes of aging mean that alcohol and other drugs take a greater toll on our bodies and it takes longer for us to heal. When treating older adults, it is important to have a slower pace, both of detox and of treatment beyond. Additionally, older adults are more likely to have other medical conditions and injuries that must be addressed. Having geriatric medical care integrated into the detox and treatment process is imperative. Chronic Pain: In addition to other medical needs, chronic pain is a common complaint with older adults and there is often a belief that the pain will be intolerable without opioids. In fact, we now know that opioids are not the best way to treat chronic pain and it can actually make pain worse in many cases (a condition called hyperalgesia). Treating older adults requires a multi-disciplinary approach that offers therapeutic alternatives to opioids from medical, clinical, and wellness professionals. Psychological and Spiritual Needs: Anxiety and depression are two of the most common mental health diagnoses in older adults. Relatedly, older adults who are able to find a sense of satisfaction with their personal spirituality are likely to have better quality of mental health, and those walking into treatment often feel a sense of disconnect in this area (Diaz et al., 2011). Intentionally addressing these through cognitive behavioral therapy, wellness activities, nutritional changes and facilitating spiritually supportive social support systems provides a path to improved quality of life without alcohol or other drugs. Social needs: Older adults respond better to treatment with a group of their peers. If Jack was put into a group of mostly 20-30-year-old men, one of two things would have been likely to happen. Either he would find no sense of connection with anyone and simply not engaged in the group, or he would have become the “dad” of the group, helping everyone but himself. Either way, he would not have benefited fully from the treatment. When older adults are in a group of people who share common struggles and life experiences, they are more likely to fully engage and thus obtain full benefit from treatment. Treatment Approach: Older adults tend to carry significant confusion, guilt, and shame with them as they walk into treatment. Treating professionals should not assume that the older adult patient is familiar with what addiction is and so must start from a perspective of education. The caveat with this is that professionals should also respect the years of experience and knowledge patients do have and be careful not to talk down to them. A motivational and invitational approach to treatment is critical. As older adults begin to understand the nature of their illness, a treating professional who has created a sense of safety and non-judgmental understanding is far more likely to see patients engage and find recovery from all conditions. This concept of recovery became extremely important for Jack. He learned that for him “recovery” was different from “cure”. Jack learned that he had truly become addicted to not only pain medication but also alcohol and engaged a program of recovery including 12-step work and ongoing counseling. He learned that nothing would make him completely pain-free but with the use of physical therapy, massage, behavior changes, biofeedback, and psychotherapy for pain reduction, he could have a better quality of life with a little pain than he was having with all of his pain-and everything else-masked by opiates. He learned that, though he would have some good days and some not-so-good, he had purpose and meaning and did not have to be miserable all of the time. With the help of a psychiatrist, therapist, and his support system, he realized he could be free of what had become a crippling depression. To remember: Jack is not an isolated case. There are more like him than we know, struggling with addiction and other comorbidities. Jack is sober today, many years later. 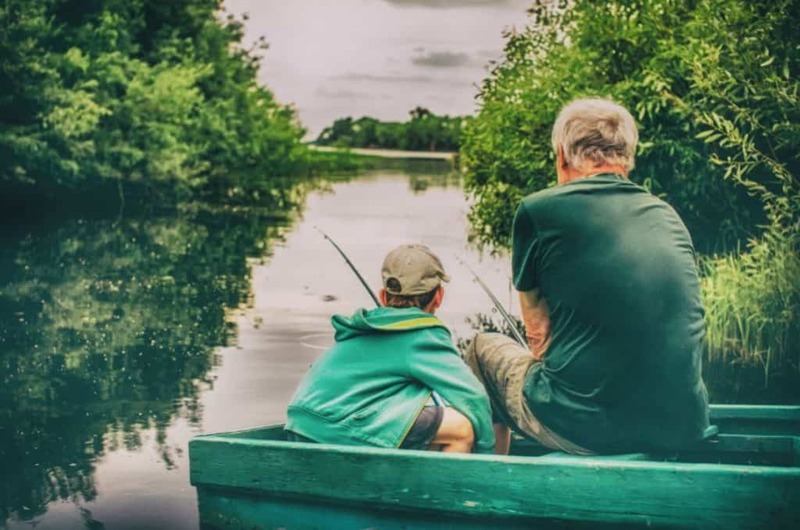 He remains retired, but when he goes fishing with his grandson Alex, Jack is fully present, fully alive, and fully connected to the moment. He wouldn’t have it any other way…and neither would Alex. Cooper, L. (2012). Combined motivational interviewing and cognitive-behavioral therapy with older adult drug and alcohol abusers. Health & Social Work, 37(3), 173-179. Diaz, N., Horton, E., Green, D., McIlveen, J., Weiner, M., & Mullaney, D. (2011). Relationship between spirituality and depressive symptoms among inpatient individuals who abuse substances. Counseling & Values, 56(1/2), 43-56. Draper, B. (2014). Preparing for the graying of the world: Meeting the needs of older adults. Psychiatric Times, 31(2), 1-5. Origins Behavioral Healthcare is a well-known care provider offering a range of treatment programs for adult and older adults, targeting the recovery from substance use disorders, mental health issues, and beyond. Our primary mission is to provide a clear path to a life of healing and restoration. We offer renown clinical care for addiction and have the compassion and professional expertise to guide you toward lasting sobriety.